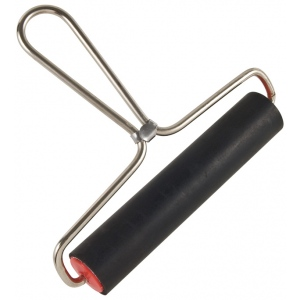 All purpose 1/8" thick hard rubber roller covers roller 1" in diameter. * Plated steel handle with wood core and precision bearings. 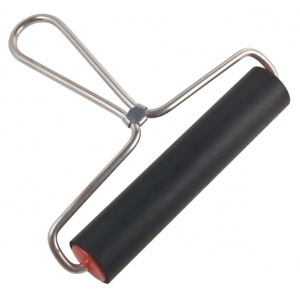 * Ideal for burnishing or mounting artwork. The material is hard rubber, rubber.